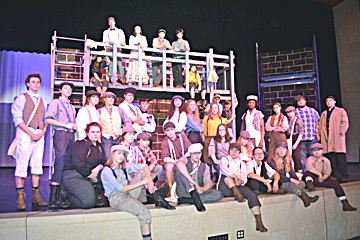 Submitted photo The cast for New Ulm High School’s play “Newsies”. 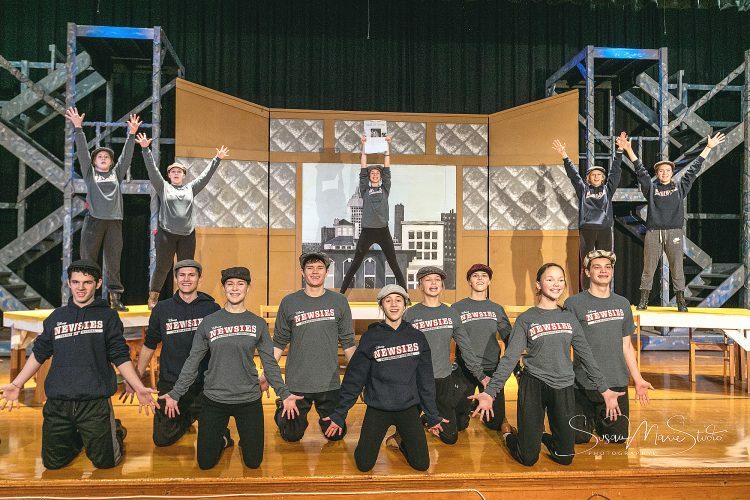 NEW ULM — New Ulm High School will present “Newsies” from March 29-31 at the High School Auditorium. The musical is based on a strike by newspaper boys who have to go on strike because of Joseph Pulitzer, who set up rules that made it more difficult for the newsies to make money. 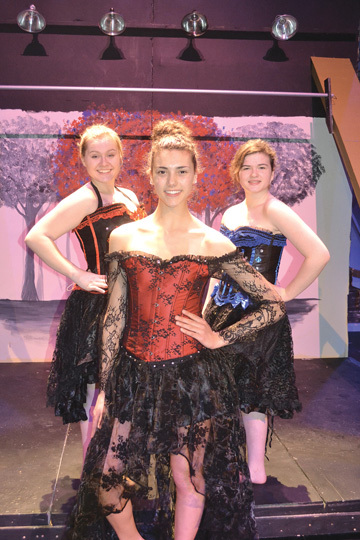 Sarah Thursby, one of the play’s directors (along with Kim Horning), got the idea of doing “Newsies” from her students. 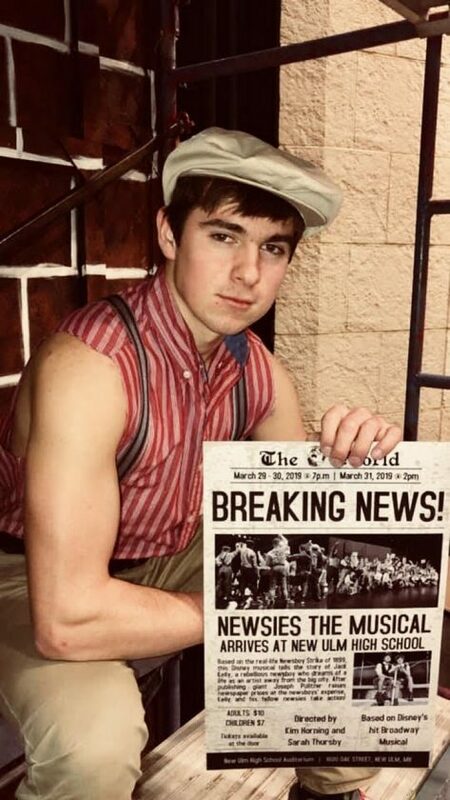 Submitted photo Mitch Moellenhoff will play the roll of Jack Kelly in the upcoming play “Newsies” at New Ulm High School. Thursby said that the students have enjoyed the practices thus far. 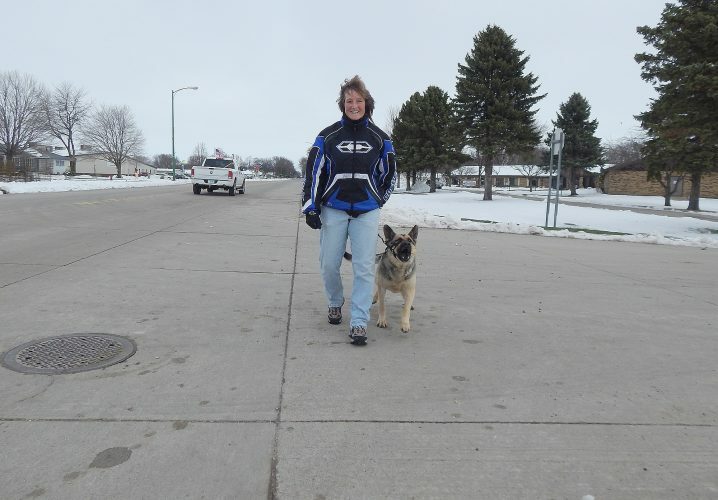 However, it’s been tough getting in all of the practices due to school being closed or getting out early this winter. Thursby said that the musical lasts just more than 2 hours. The cast and crew has been fun for Thursby and Horning to work with and they’ve both enjoyed it. 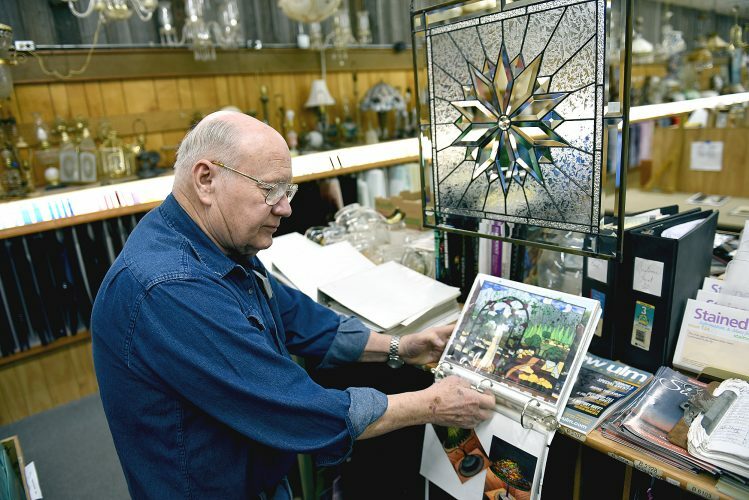 “The hands on the production are many, we have an advanced construction class that is designing and building the set,” Thursby said. 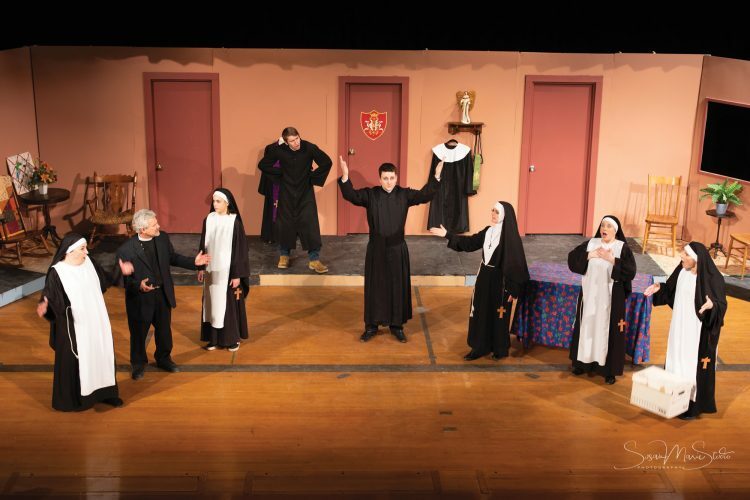 ”We have my theater productions class doing all the painting and all of the props and the light design and sound design — all of the inner workings it takes to put on a show. It’s really exciting. We also have some of the band kids and the choir kids, so it’s really kind of a big full effort. Submitted photo Medda Larkin (Rachel Hohensee) in a scene in the upcoming play “Newsies”. 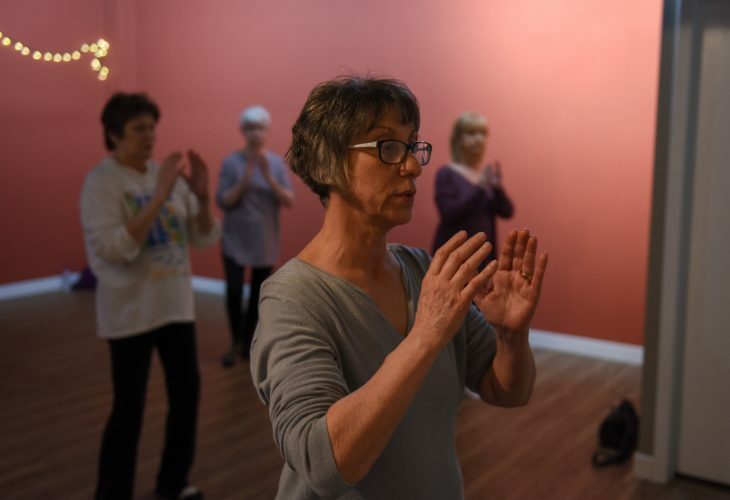 This is the second time Thursby and Horning have worked together on a musical at New Ulm High School and Thursby said that the two work well together. Cost is $10 for adults and $7 for children and all shows will be at New Ulm High School. Friday, March 29: 7 p.m.
Saturday, March 30: 7 p.m. 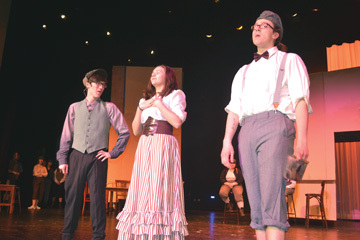 Submitted photo Davey (Donovin Weber), Katherine (Abby Hietala) and Race (Augie Babel) perform in the play “Newsies”. Sunday, March 31: 2 p.m.